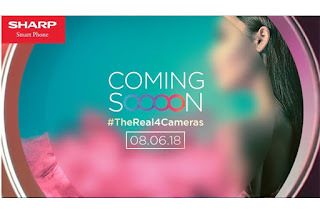 Trend 4 camera smartphone started by Huawei Nova 2i and continued by Honor 9 Lite, now penetrated to other smartphone vendors. 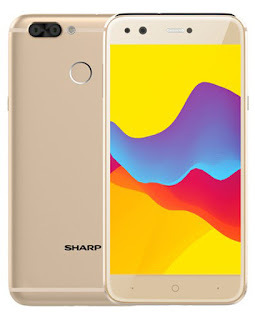 Sharp is a smartphone vendor that is now beginning to focus on the mobile phone market is rumored to be coming soon to present a smartphone 4 cameras in Indonesia. Dilansi via Shopee, Smartphone 4 camera named Sharp A Click will make its debut on the market on June 8 next with holding Shopee as its distribution partner. What are the features offered by Sharp's latest smartphone? Here's a quick review. The main weapon Sharp A Click lies in embedded photography features, this smartphone adopts 4 cameras in one smartphone where the front and back of each device is equipped with two camera configurations. At the rear, the embedded camera consists of a 13 megapixel f / 2.2 5P main camera and both cameras are 8 megapixel f / 2.4 6P. The second camera feature that is embedded in the back is capable of producing objects with wide angle images. Meanwhile, the embedded front camera are both adopting 8MP + 8MP camera which each has a f / 2.2 aperture support. Embedded front camera is claimed not only able to present the effects of bokeh, but also capable of presenting a photo object with a wide angle. 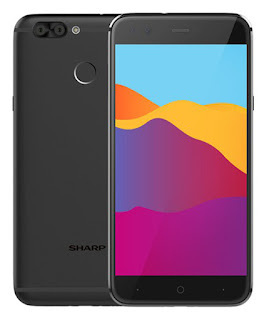 Entering the screen, Sharp A Click adopts SHARP's Natural Aqua Screen display technology that is claimed to be capable of delivering sharp and crisp screen quality, embedded screen has 5.2-inch dimensions with HD resolution and is coated by a 2.5D glass layer. Unfortunately, the embedded screen technology is still adopting conventional screen unlike most of today's mobile phones that have been circulating in the market. Turning to the performance sector, a smartphone with battery support capacity of 3000 mAh is embedded Mediatek MT6750 chipset that has 1.5GHz octa-core processor support. The embedded chipset is combined with 4GB of RAM and 64GB of internal memory. 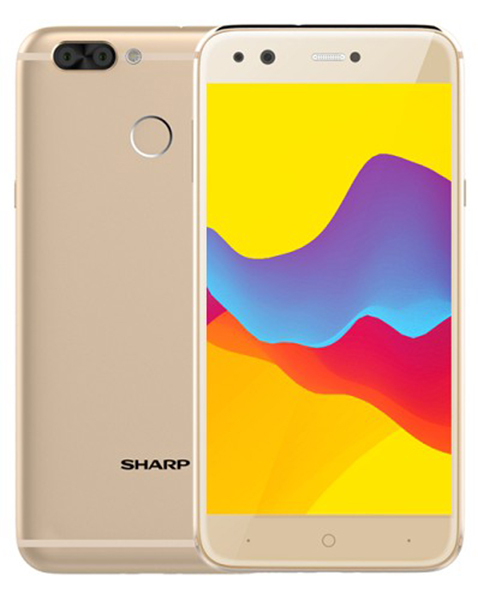 In addition, Sharp's latest smartphone is also equipped with features fingerprint scanner sensor, FM Radio and USB OTG. 0 Response to "Smartphone Sharp with 4 Camera Ready to Present, It's Specs"